Whether it is to Toscana, Taranto or Campania within Rome, Milano, Naples or Palermo and whether from England, Scotland, Wales or Northern Ireland; it is covered by Milky Way Logistics Ltd.
Milky Way Logistics is a limited company established in 2015 as a freight forwarder in London and continued its knowhow business in the competitive market of freight forwarders in London. 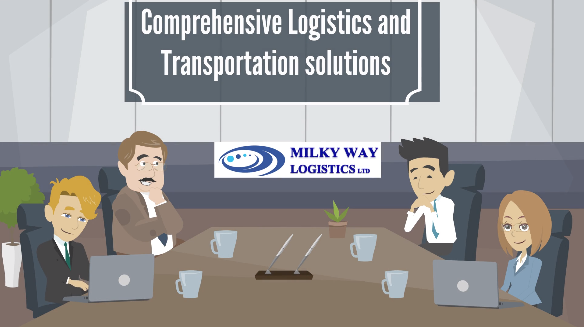 Benefiting from professional, qualified experts, Milky Way Logistics knows what is the finest solution that suits your shipment. Being based in the heart of the Capital, in City of London, Milky Way Logistics has access to the hauliers’ network of the UK and Italy through which offers an invaluable professional service which is guaranteed for quality and price. Milky Way Logistics has made it a relaxed experience to ship pallets from UK to Italy. Ending your project in the UK and thinking about sending your personal effects from UK to Italy or starting a new import export trade between UK and Italy and having no professionalism in shipping, just keep your business on safe side by contacting Milky Way Logistics today. For shipping your palleted goods from UK to Italy, we have a range of different type and size of vehicles through which we guarantee a smooth delivery. In considerations of freight value, it matters how big is the consignment. Whether it is just a little box of some personal effects or it is a large over size machinery, we can handle it at Milky Way logistics to collect from your origin to deliver at your destination. For the smaller loads, we suggest to try a part load service from UK to Italy in which your shipment is combined with some other same size deliveries in a shared vehicle and the freight is divided proportionally and as a result you will end up paying less for the same size and same distance comparing to the dedicated service when parts of the load would remain empty in the trip. However, for a larger batch, we can offer a dedicated service when the vehicle either van or a whole truck depending on your requirement would be dedicated to your own load and therefore you will be able to load up to the full capacity of the vehicle and the vehicle follows your desired delivery schedule whenever it is available. For some parts of Italy, we might be able to offer a same day delivery subject to availability and where distance and rules allow us to do so. Palletising is a common practice in the shipping industry for it to be more recognisable by the carriers and more protective for the consignment during its journey from origin to destination. 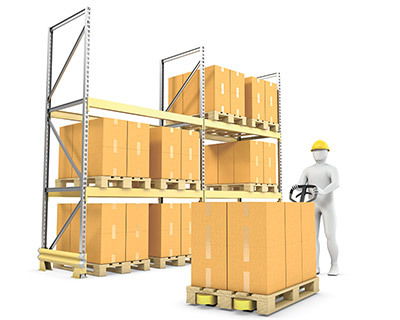 It also makes it much easier for loading and unloading and handling of the freight when those are packed on a pallet and its storage would be much more practical. Milky Way Logistics could offer a range of pallet sizes from GMA to Euro size to two-way to four-way to stringer and etc.